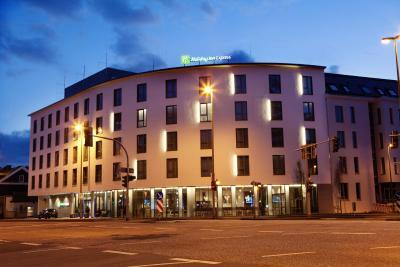 Lock in a great price for Holiday Inn Express - Siegen – rated 8.9 by recent guests! The hotel and room were very clean. The location was very good. I very much appreciated the tasteful decor, and sophisticated lighting in the room as well as the climate and noise control and small touches like USB plugs. The entire hotel struck me as, above all, TASTEFUL, whether it was the lobby or the breakfast room or the room itself. My reason for being in Siegen, my home town in Germany, was a family reunion in which the hotel played a small part by making available a special seminar room for a group of us to have breakfast together before we departed. The beds were very comfortable and we loved the bathroom. The walk-in shower was fab, good pressure, easy to work. Siegen needed an up-to-date hotel in a central location. Food is ok but not varied enough. If You are booking it more often You may get bored. Coffee is really good. Staff is very friendly and willing to help, there is a small 7*24 hours shop nearby where food/water can be purchased even at Sunday. Very nice hotel. It is clean, quiet and quite new. Breakfast are tasty but during my stay it was "cold plate" only. No scrambled eggs, or warm sausages. But 1minute from hotel in left direction there is very nice restaurant... (its name is Hammerhutte. 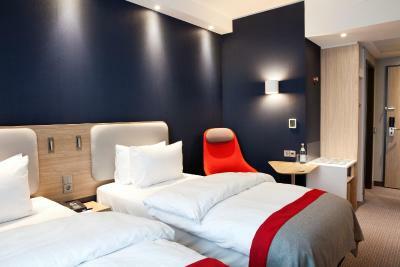 Holiday Inn Express - Siegen This rating is a reflection of how the property compares to the industry standard when it comes to price, facilities and services available. It's based on a self-evaluation by the property. Use this rating to help choose your stay! 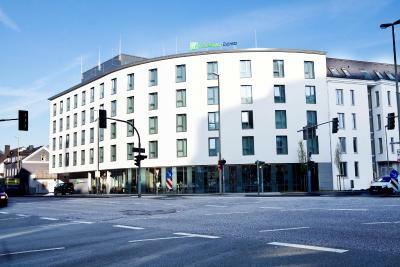 One of our top picks in Siegen.1,000 feet from Siegrlandhalle, Holiday Inn Express - Siegen is located in Siegen and features air-conditioned rooms. Among the facilities at this property are a 24-hour front desk and luggage storage space, along with free WiFi throughout the property. Skilift Neunkirchen is 5.6 mi from the property. Cologne Bonn Airport is 39 mi away. This property also has one of the top-rated locations in Siegen! Guests are happier about it compared to other properties in the area. This property is also rated for the best value in Siegen! Guests are getting more for their money when compared to other properties in this city. 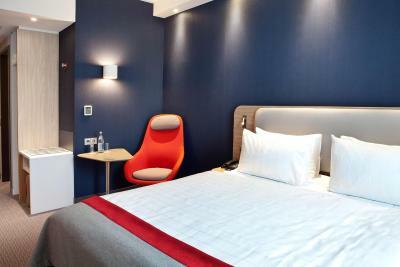 When would you like to stay at Holiday Inn Express - Siegen? House Rules Holiday Inn Express - Siegen takes special requests – add in the next step! Holiday Inn Express - Siegen accepts these cards and reserves the right to temporarily hold an amount prior to arrival. Very near to city centre and very good staff. Breakfast is fine if you’re only there a day or two, but then the selection of cold meats and cheese becomes rather boring. Vegetarians have only two types of cheese to choose from. There’s no need for more, just more variety. The sliced bread was so dry that it was bending, and the sliced cucumber looked rather sad, too. Not enough staff on the desk in the morning for guests wishing to check out.